People are fascinated by disaster movies. The drama, the human stories, heroism and ingenuity all make for a dramatic and engaging story. But the reality is horrific and tragic; we see heart-breaking accounts of loss and suffering on our TV screens. In this calendar year alone there have been major disasters in Indonesia, southern and western USA, the Philippines, Hawaii, Japan, Guatemala, India, Fiji, Mexico and elsewhere. These included floods, storms, earthquakes, mud slides, volcanic eruptions and a tsunami. In recent times we have also seen disease outbreaks, famines and refugee migrations all adding to the total. And that’s not including man-made disasters such as conflicts, transportation accidents or major utility failures. It’s a sobering fact that we live in a dangerous world. Terrorist and transportation events may grab the headlines, but analysis shows these are less common and impact fewer people than natural disasters, although that is of no comfort to those caught up in them. In most of these situations the local emergency organisations will be overwhelmed, teams will come in from other regions and even from overseas; naturally they will want to help immediately. There will be casualties needing immediate treatment, people trapped in buildings, some needing to be rescued from dangerous areas, and many untrained helpers already on scene. Disaster managers will need to organise teams to deal with the most urgent situations, allocate the resources they have and request what’s missing. Communications will be critical, and as well as the equipment itself vital human skills are needed to effectively manage the systems and teams. Global aid agencies play a major role in disaster assistance, and co-ordinate resources from many donor nations. The UN, the World Health Organization (WHO) and the Red Cross are examples. The WHO serves 94 nations with assistance and guidance during disasters. It stresses the need for planning, which can greatly assist when disasters strike. Nations or regions at most risk can take a number of steps such as preparing public service announcements in multiple languages or dialects. A database can be assembled including recent and likely events, locally trusted sources of information, employees, media and non-governmental contacts for collecting or disseminating information. A central share point for this information can also be established. The WHO itself frequently deploys an experienced and trained communications officer as quickly as possible to disaster areas; these officers have teambuilding, medical and communications technology skills, as well as the ability to cope with stress. In 2014, the WHO took stock of the experience of 26 of its officers who had been involved in disasters. They had been involved in natural and technical disasters and conflicts in 10 countries and have built up a formidable level of experience. The officers noted a number of common factors such as the need to calm people’s fear of dead bodies – in a natural disaster these do not pose an immediate health risk. Also, donations of large quantities of used clothing may not always be helpful; it is better to wait until the specific needs are known. The correct way of collecting and using water is also important; the public needs to be kept informed of these and other factors during the days and weeks after the disaster. They also highlighted the need for easy-to-access data, and the possibilities for using the cloud. The United Nations through the Office for the Coordination of Humanitarian Affairs (OCHA) offers Disaster Assessment and Coordination (UNDAC) teams, which can be sent to a country within 12 to 48 hours after a sudden-onset disaster to provide technical services. The UN connects a cluster of agencies to offer assistance both during the disaster phase and thereafter during response, recovery and reconstruction. Satellite systems are an element in this to link operations on the ground to the various UN and other agencies for guidance and information and to call upon additional resources. In the UK, the Civil Contingencies Act of 2004 and its associated Regulations (2005) and guidance laid the groundwork for dealing with major emergencies in the UK. Local Resilience Forums (LRFs) were established to plan and resource for such events, the prime responsibility being with local government. These LRFs are there to assist the different agencies in working together, and communications plans are a major part of this. It is worth noting that as well as ensuring effective inter-agency working, the importance of communicating with the general public is stressed. To further facilitate preparedness, the Emergency Management College was established. Training courses in all aspects of emergency management, including communications, are offered to all potential participants and agencies. The US provisions for disasters in a number of ways. For example, the Federal Emergency Management Agency (FEMA) is responsible for co-ordinating emergency planning, preparedness, risk reduction, response and recovery. The agency works closely with state and local governments by funding emergency programmes and providing technical guidance and training. 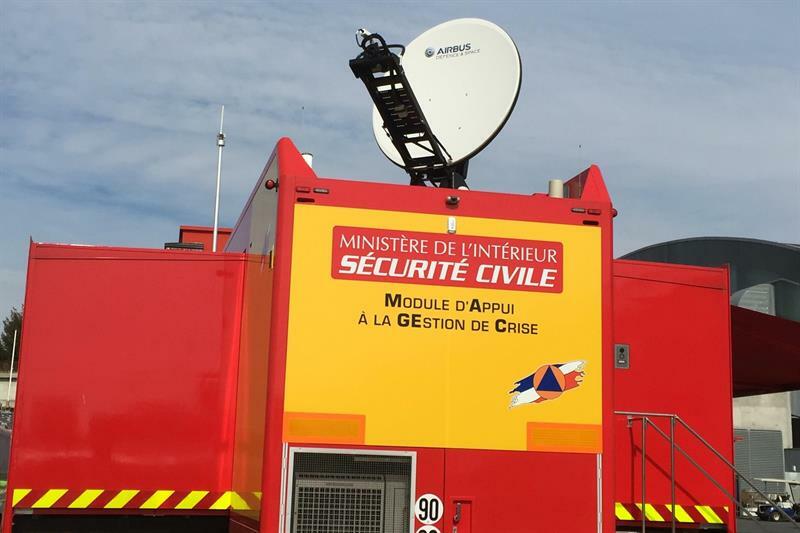 Motorola Solutions has supported emergency teams in major disaster situations. During Hurricane Irma in Florida, the public mobile phone system was affected, and the company assembled equipment in the neighbouring state of Georgia (including batteries) prior to the hurricane, and rolled it out across Florida once the hurricane had passed. This included fuel trucks, as fuel is often hard to come by in the aftermath of such storms. Following the storm, the radio systems’ 18 network sites were powered by back-up generators, some of which ran nonstop for six days to keep the communications network operating seamlessly. “Our officers were working in flood-prone areas, and in those areas LMR was the only communication working,” Holcomb adds. Motorola Solutions has a number of Cells on Wheels (COWs) which can deploy an LMR network at very short notice. The company can also provide its LXN LTE portable base station, which weighs less than 12 pounds and can be activated within five minutes of powering up to provide a bubble of 1km serving 100 subscribers. Satellite links can be deployed quickly to connect teams over a wider area and to core elements and control centres. Motorola Solutions also offers WAVE – a solution to connect all types of mobile device including P25 and similar radios to smartphones and tablets in a secure manner. Where there are many different agencies involved in an emergency including volunteers, civil authorities and utilities, this can be helpful. Satellite paging is another communications option for emergency teams. Satellite pagers themselves are not low-cost, but are extremely capable and flexible. An alternative suggested by Trevor Drawbridge of Global Data Burst (GDB) is the use of low-cost VHF pagers with a working prototype repeater linked to the current Iridium satellite constellation. The pagers can now receive messages and alerts from a control centre via the GDB portal, perhaps in a regional government office outside of the affected area or even the assistance agency’s headquarters in another country. VHF pagers are low-cost and numbers of these can be quickly distributed to local helpers at the disaster site. They will be very simple to use and run for long periods on replaceable batteries. The repeater is small and can be put in hand baggage on civil aircraft and easily carried to the disaster site. It is offered as a standalone or with a battery and solar panel, and is power-managed to only activate when necessary. GDB also offers an Iridium receiver which connects to a PC through a USB cable. This enables a local command centre to receive small to medium-sized data files such as procedures, warning notices, hazard data sheets, and other vital data. The Iridium system itself connects satellite phones and data terminals; these are professional-grade units and probably best issued to commanders and the local control centres of the disaster relief agency. Iridium is currently being updated to Iridium Next with the recent successful launch of a new generation of satellites; higher data speeds and IoT connectivity will be enabled. Task Force 1 is the British Colombia unit in a set of provincial teams across Canada who have a standalone capability to co-ordinate public safety teams during a major emergency. As part of Task Force 1, HUSAR is the Heavy Urban Search and Rescue unit located in central Vancouver specialising in structural emergencies. In Vancouver the team is comprised of officers from the three emergency services and the city engineers, as well as rescue dogs. They train for rescue from collapsed structures and trenches, swift-moving water and near-vertical environments. The HUSAR team have been called on to assist in emergencies outside of British Colombia such as flooding in Calgary in 2013. Clint Senior from the City of Vancouver, Dan Messenger of Vancouver Fire and Brent Middleton from British Colombia Ambulance walk me around HUSAR’s HQ and describe their systems. The unit has the capability of operating entirely independently, with their own equipment, food, shelter and communications and IT system. They are provisioned for up to 10 days of entirely independent operation. As they will often be working with other agencies, they have a range of radios such as P25 digital radios, and a gateway to connect into public telephone systems as well as satellites. Other radio units include CB and VHF, as these are used by public safety teams in remote areas; portable satellite radios are also available. Their officers generally communicate with each other with MOTOTRBO radios, but they also have an extended-range Wi-Fi system that can provide image, data and video connections to aid in the command and control of an incident. An officer could be looking at a scene with an iPad and this can be mirrored in the control station. The five Wi-Fi units can be set up in different ways depending on the needs of the situation – in some configurations a range of 20km is possible. Naturally they have batteries and generators for power, as well as other essential equipment such as gas analysers. They have their own heavy trucks for transport, and fork-lifts for loading and off-loading equipment on site. They also have off-road vehicles for reaching difficult locations. When assessing buildings in an emergency situation, they use the North American FEMA codes to inform colleagues of the status; this is a simple method of marking buildings as having been searched, as well as identifying whether they are safe. Effective communications between the emergency workers is only part of the story – the public need to be kept aware of risks and proper responses. Evacuations need to be managed, and other guidance provided in terms of shelter, food, water and hygiene. Where available, social media can keep people advised, but other methods such as posters and flyers may be needed. Newer technologies are emerging that can add to rescue capabilities. Drones are now affordable and carry cameras linked to the operator, they can quickly assess scenes and direct aid to where it is most needed. The cloud can be used to store information in advance and then quickly access important data from the scene. Sensors can be deployed and linked by IoT radio technologies to monitor critical factors such as water levels, seismic activity or dangerous gasses. Finally, planning is vital and needs to take into account that teams should be self-supporting for days or longer. Communications systems, as well as shelter and provisions and power, need to be available for rapid deployment, as well as connections with the outside world and headquarters through satellites. Training with teams from other agencies will save time and increase effectiveness when in a real emergency.